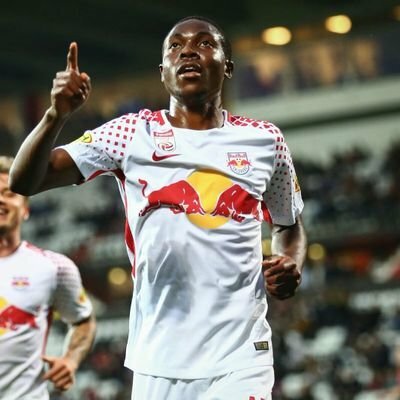 Enock Mwepu joined Red Bull Salzburg/FC Liefering in the summer of 2017. Mwepu previously represented the Zambian youth team and played for Napsa Stars and Kafue Celtic before joining the Austrian based side in 2017. Mwepu is currently playing for the Zambian national team and he has already collected 6 international caps and scored once against Algeria. Enock Mwepu is quite tall (1.84M) This is something that can work in his favor mainly during aerial duels and physical duels on the ground with pacey attackers. But Mwepu is lanky, to say the least. He has a tough time controlling the ball and his first touch is bad at best and plain awful at worst. It takes to long for him to finally control the ball and make a run or just pass it. This is one of his more confusing attributes seeing as he is quite technically special once he finally has control over the ball, excelling in tight spaces against opponents. This segways quite nicely into his excellent passing ability during runs where constantly tries to keep the ball close to his right feet and is able to give good passes almost instantly without a hitch in most cases. As mentioned before Mwepu is lanky but he seems to forget this a bit too much while doing backheel passes or skill taxing moves, this results into him almost tripping on the ball and giving the ball away to opponents in cases where it really isn’t necessary. But his lanky nature doesn’t limit as much as other players with similar problems do. Mwepu legs are very long this really helps him with defending and making sure that he doesn’t have to tackle players. Mwepu likes to stay on his feet and only uses tackles when it’s absolutely necessary, this is, in my opinion, one of his best attributes as a DM. As casually mentioned before, Mwepu is an excellent passer giving through balls without a hitch although he tries to avoid long balls or switching up the play from flank to flank, this could hamper his ability to play as a DM once Samassekou leaves this summer. This leads into his fine shooting ability. Mwepu likes to push to the 16-yard box quite regularly this, he passes the ball off in most cases but Mwepu has shown that he has a capable shot (reference: Goal Admira Wacker). Mwepu is a very intelligent player constantly looking around him to see if there any teammates that could start runs before receiving the ball himself. His very decent short range passing ability combines nicely into this, this leads to excellent through balls and him just being a very important catalyst between the defense and midfield. The only real issue is his reluctance to switch up the play from flank to flank. This could hamper quite a bit as a CDM. Mwepu’s positioning is good (most of the time) Once he is in the 16-yard box he tries to outsmart his opponents via late runs or just quietly sneaking away taking advantage of the shoddy defending in Austria. This just adds to his completeness as a DM and it’s one of the reasons that I really rate him. This will be repeating a lot of the points that I made in the first part so feel free to skip this part. Mwepu is tall but lanky. This isn’t a major issue for him except his first touch and his constant struggle to keep that ball stuck to his feet after receiving it. These problems seem to vanish after he finally controls the ball but this simply takes to long especially in crowded spaces when he is surrounded by multiple opponents. Mwepu is strong and tall and his jumping attribute is quite decent. This makes him able to win most aerial duels without a problem.